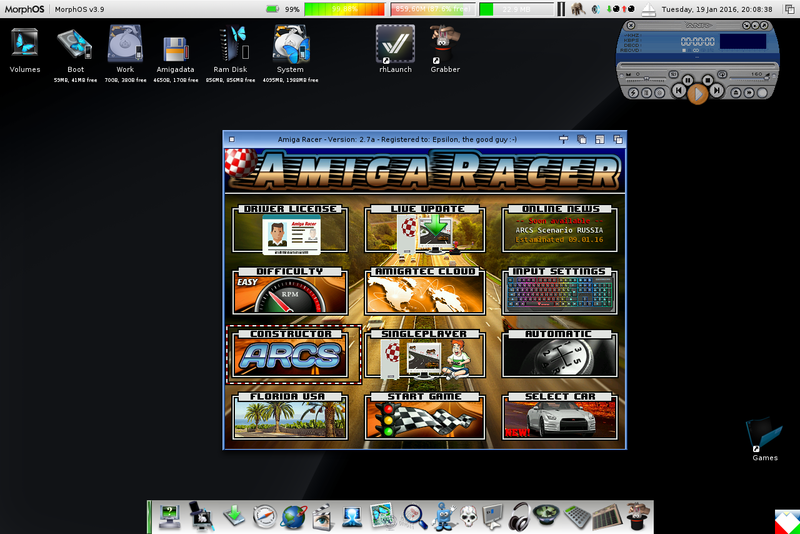 After mucking around with AmigaOS4 themes in Linux on my new AmigaOne A1222 last week, it inspired me to see if I could do something similar in MorphOS 3.9 on my Powerbook G4 this week. As it turns out, I could! Now, before people get too defensive, I just wanted to see if it was possible. I know MorphOS fans generally prefer the Ambient GUI look, but since I predominantly use AmigaOS 4.1 nowadays and use MorphOS less often, I find I personally prefer the AmigaOS 4.1 look better - it feels more Amiga to me. You may feel differently - no worries, the nice thing is we can all have it set up how we want it! I found an interesting guide on how to achieve this transformation here. I won't explain it any further as this guide does such a good job to be honest! 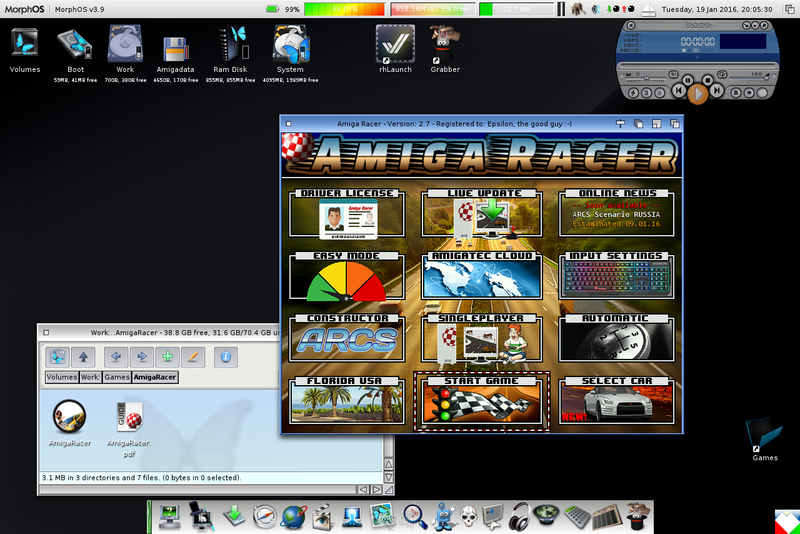 Now, you can go crazy with it (as per the guide), removing MorphOS features and changing the icons for AmigaOS icons and so on for an exact(ish) match, but I don't want to change MorphOS functionality - it is a different NG Amiga operating system after all. I just prefer the drawer frames, Title bar, etc to look like AmigaOS 4.1. 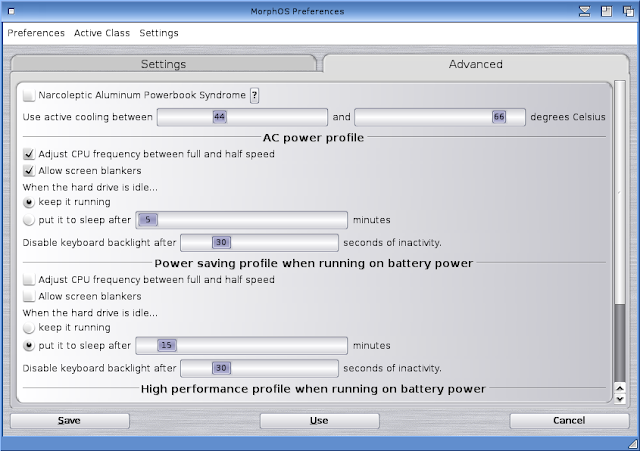 Last time I looked at MorphOS on the blog was on the Sam460CR and Powerbook G4 in May 2015 when MorphOS 3.8 was released. Wow, has it been that long - time does fly! Unfortunately the subsequent MorphOS 3.9 update in June 2015 has not fixed the issues I experienced on the Sam460CR back then, which is a shame. That said, MorphOS works great on the Powerbook G4! While I had MorphOS 3.9 fired up on the Powerbook G4, I took care of some other housekeeping - namely, updates! 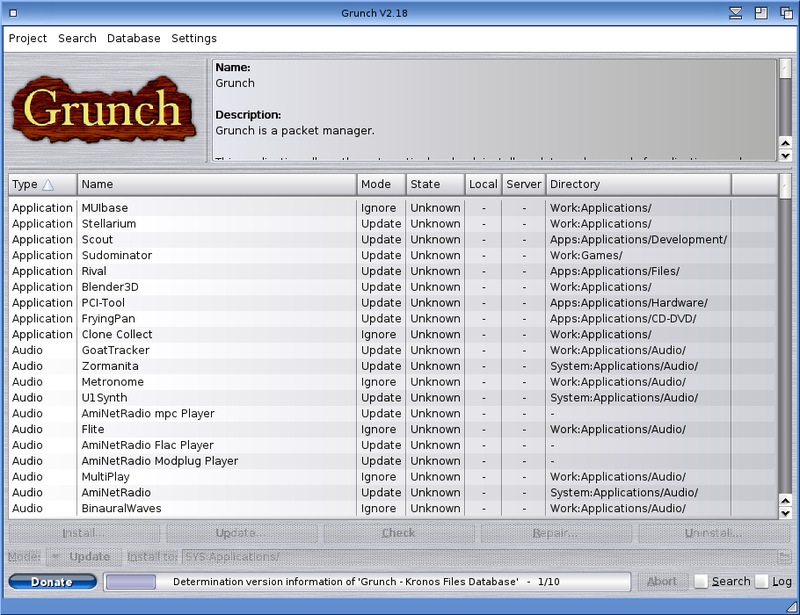 Fortunately the Grunch tool exists to make this less painful by letting you know what versions of games, tools and utilities you have installed on your system are out of date, and a simple install process to update them automatically. 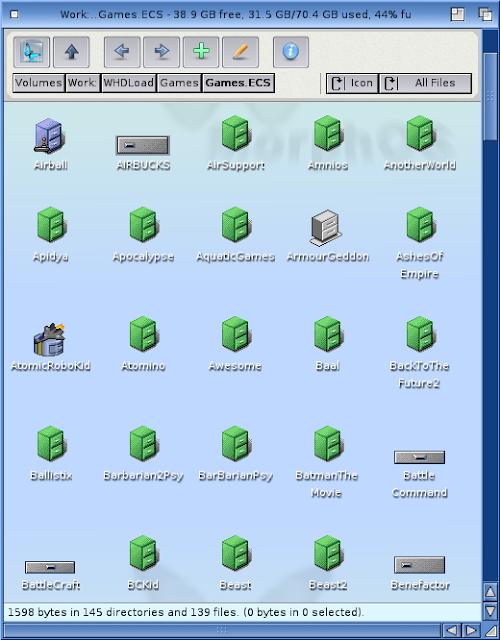 For those curious, MorphOS has a very different way of file management to AmigaOS 4.1, and yet still similar in some ways to AmigaOS. 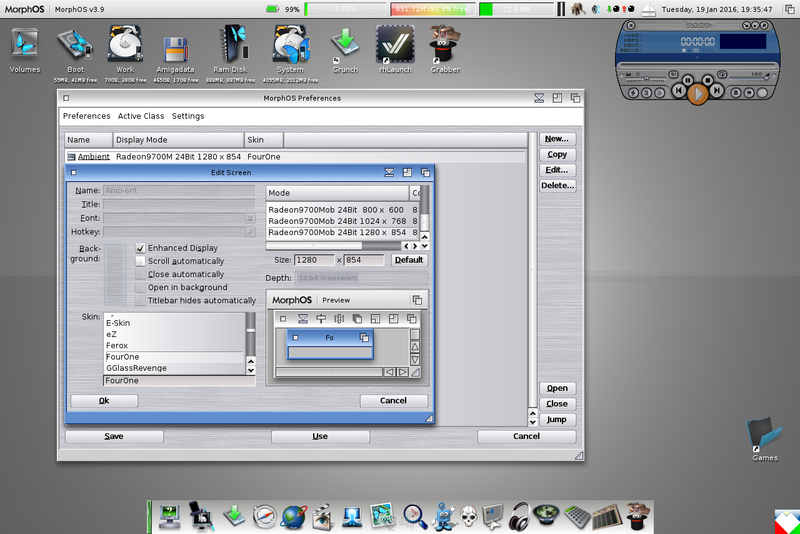 As you can see above, drawer in MorphOS have a navigation bar across the top. This functionality is absent in AmigaOS 4.1 unless you run Directory Opus 5.91 in Workbench replacement mode. In addition, in MorphOS you have the option to quickly navigate to previous folders by clicking on the directories in the navigation bar. This functionality is similar to Windows and Linux. 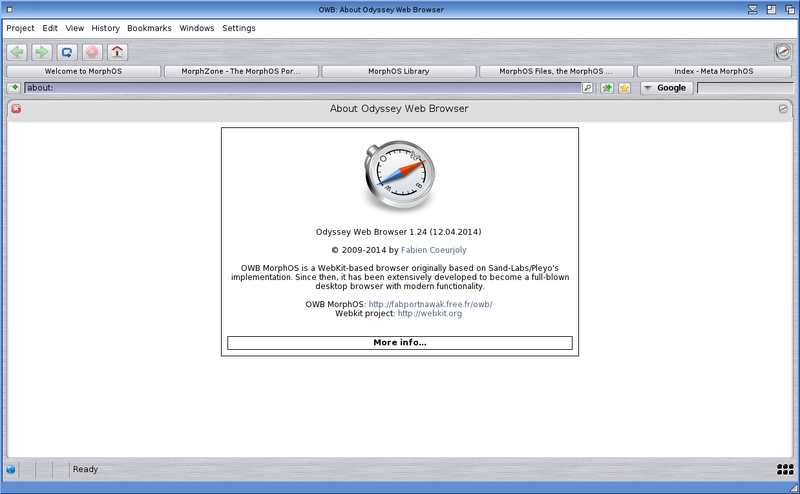 MorphOS 3.9 also has available a slightly newer version of Odyssey 1.24 web browser for it. 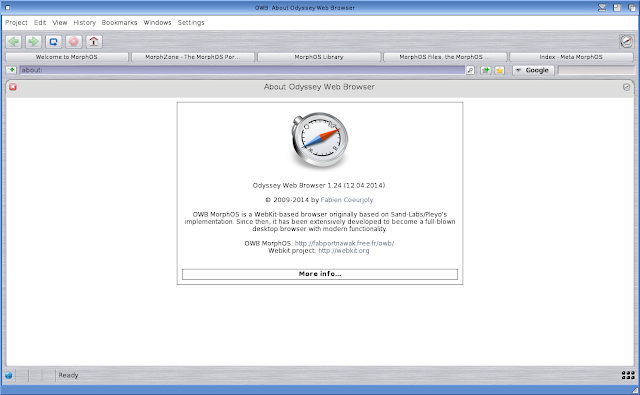 The AmigaOS 4.1 version of Odyssey is 1.23, and for AROS it has a newer version of Odyssey than both of them - 1.25. Odyssey source code has recently been made available for anyone to develop so hopefully we will see more enhancements soon. Currently the Chrysalis Pack for MorphOS 3.9 is temporarily unavailable while they fix some issues with it. Hopefully people will be able to get it again soon. USB settings - this is Poseidon, also used on AmigaOS 4.1 and AmigaOS 3.1/3.5/3.9 too. Last, but not least, is MUI. 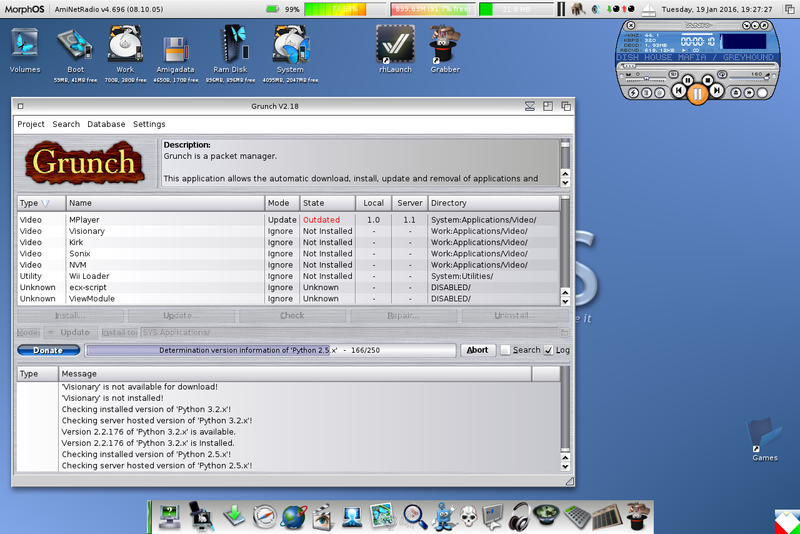 MUI for MorphOS is different to the MUI developed for AmigaOS4.1 and AmigaOS 3.1. 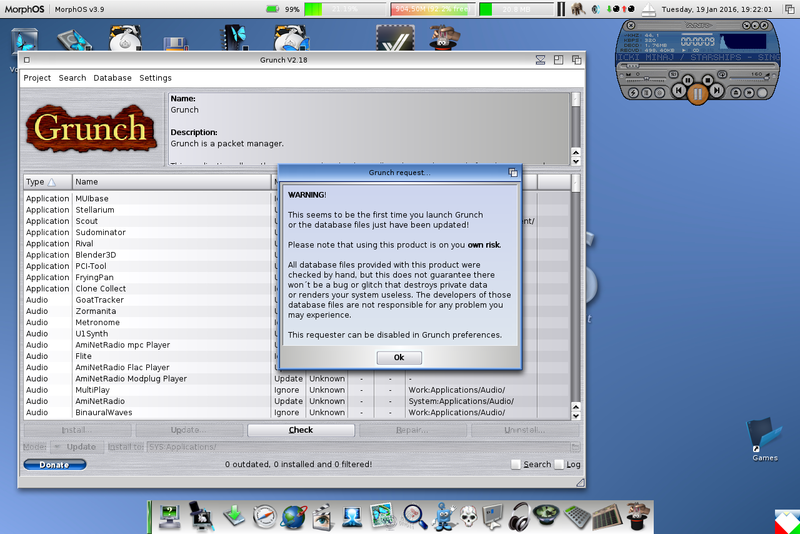 That is a shame, as it no doubt creates little incompatibilities here and there. 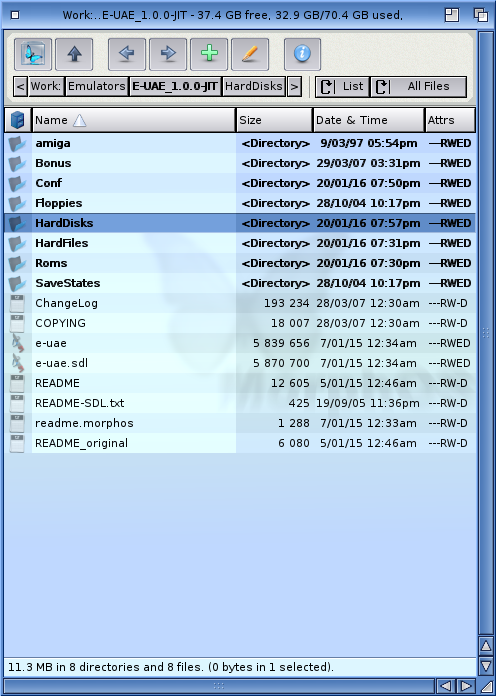 Unlike the AmigaOS4.1 and 3.1 versions, registration keyfile for MUI is not needed. Moving away from Preferences, I was keen to try out some of the new games for MorphOS, the main one being the MorphOS port of Amiga Racer, which I have been trying out on AmigaOS 4.1 on the AmigaOne X1000 recently as well. As you would expect, it runs perfectly under MorphOS 3.9 with the Powerbook G4. 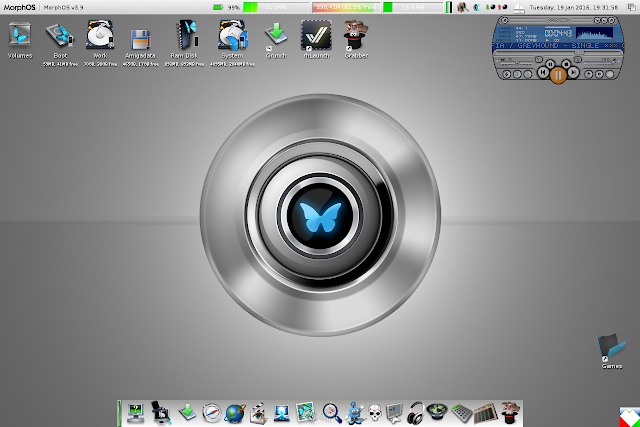 Next, I got busy with setting up E-UAE 1.0.0 JIT under MorphOS 3.9. 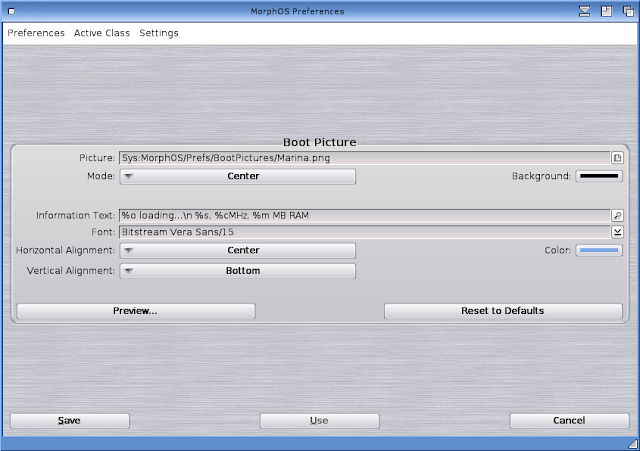 Previously I just used the right click run in E-UAE 0.8.49 WIP functionality added automatically by the Chrysalis Pack. However, this is a bit limited for me as it is intended for booting ADF floppy disks. 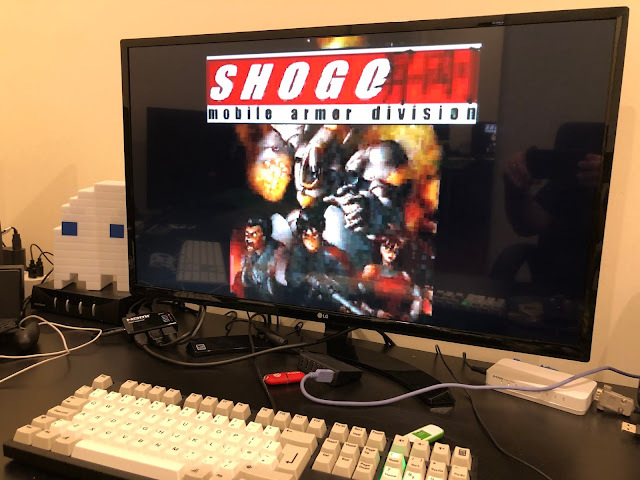 I really wanted to boot the backups of my Classic Amiga systems under MorphOS, and also use the new JIT for running AGA demos, as I already do under AmigaOS 4.1 on the AmigaOne X1000. 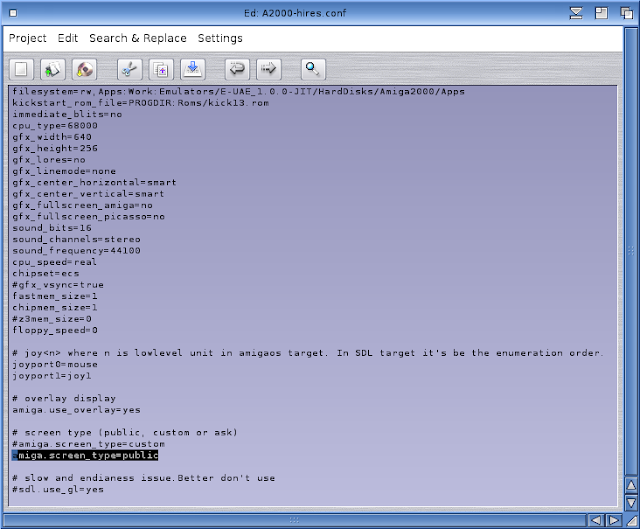 The setup can be a bit daunting, but fortunately there is a nice PDF document prepared that explains how to get everything up and running on MorphOS. You can download it from here. 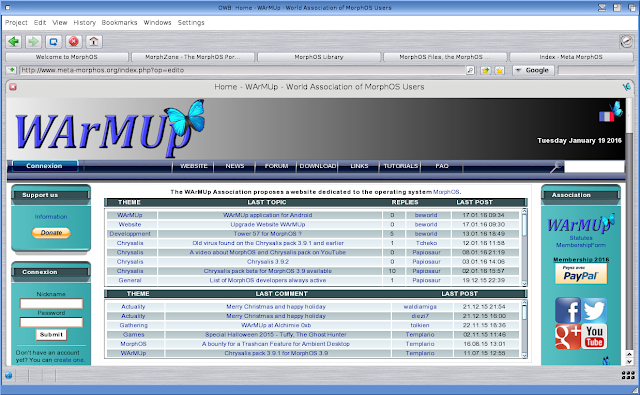 You can download the E-UAE_1.0.0 JIT for MorphOS from here. I made a mistake with the fastmem size as you can see, so I adjusted it back to 1 (instead of 3) and then it worked fine. 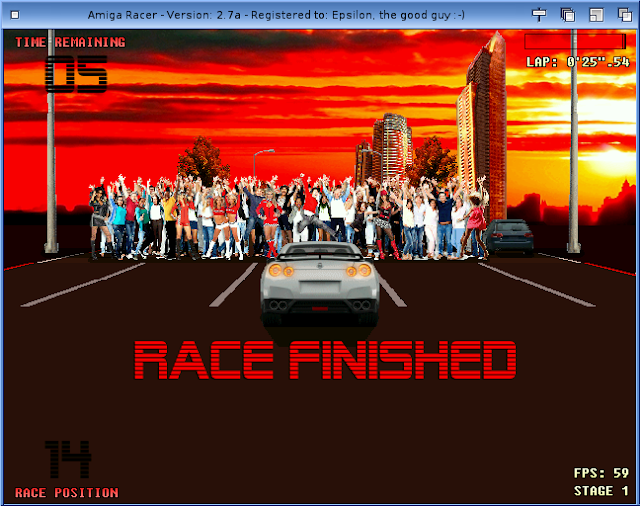 I had to run a few AGA demos to test out the JIT - Mad Wizards - yes I think so...looking good! The next MorphOS upgrade is expected to be 3.10, with support for the new AmigaOne X5000 system. This should be very exciting indeed as it should be faster than my current Powerbook G4 is! For now MorphOS 3.9 is fun to play with...as long as the demos, mod players and trackers are working I am happy! 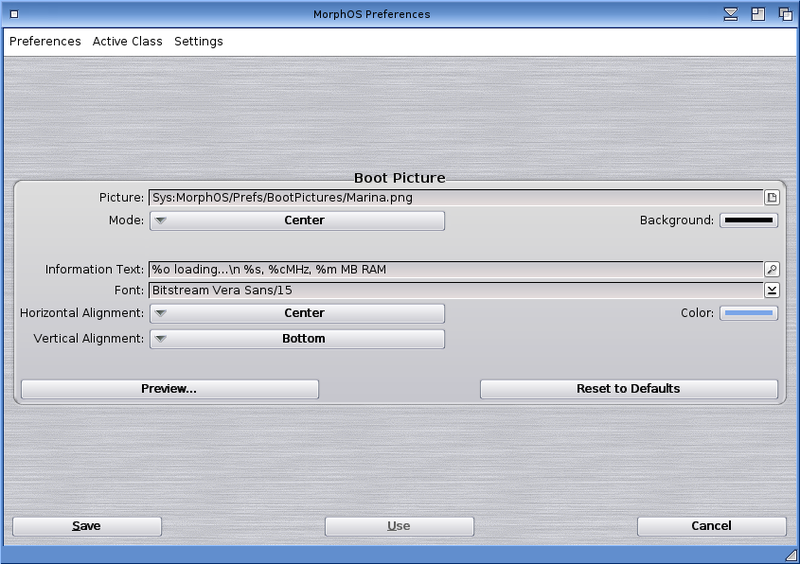 The MorphOS dev team are also working on MorphOS NG, to run on x86 PC's in the future. 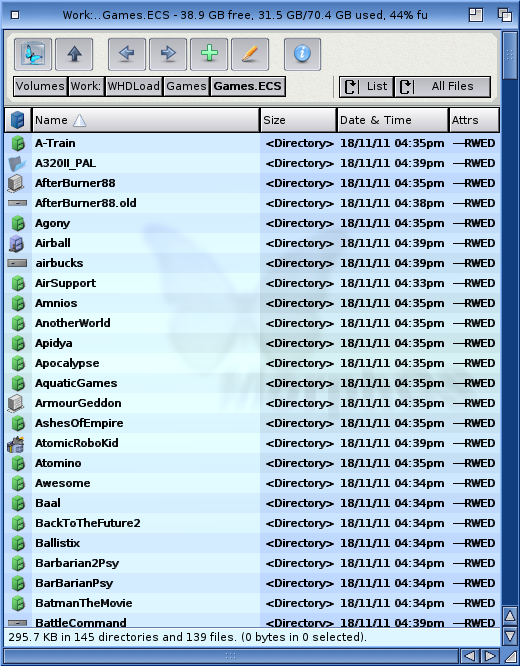 So there is certainly plenty of active development going on for MorphOS in 2016! 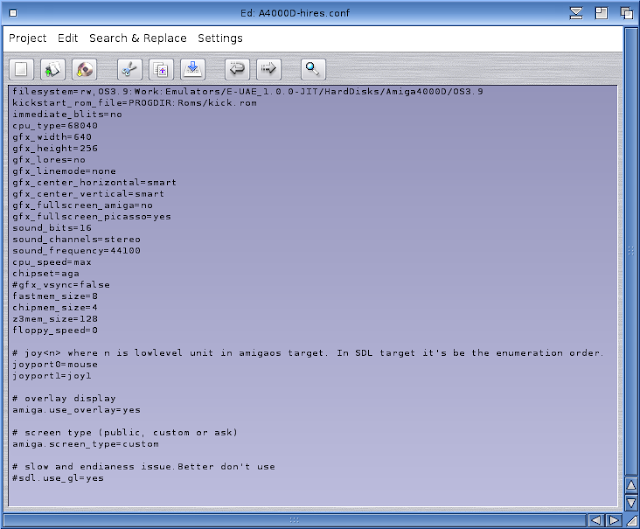 Is it definite that MorphOS team are working on x86 port? Is it confirmed? It is my understanding. They don't exactly publicise their future plans much - mainly via posts by MorphOS team members on the MorphOS forums. Good luck getting them to port to Tabor. They have been very vocal about the disinterest in the system due to the poor choice of CPU. 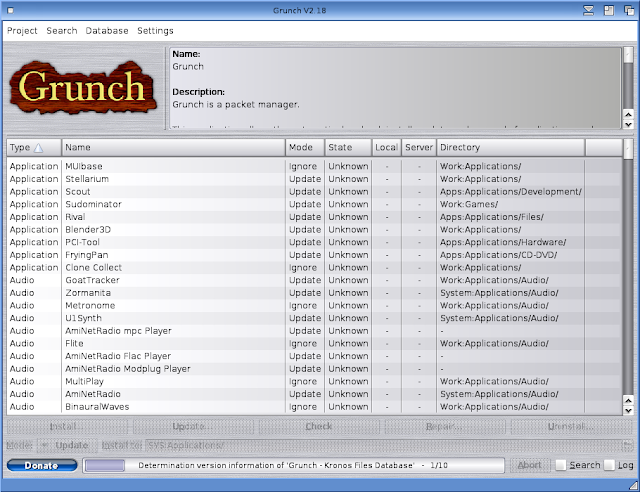 How does Grunch feels compared to AmiUpdate? Interesting "Last, but not least, is MUI. 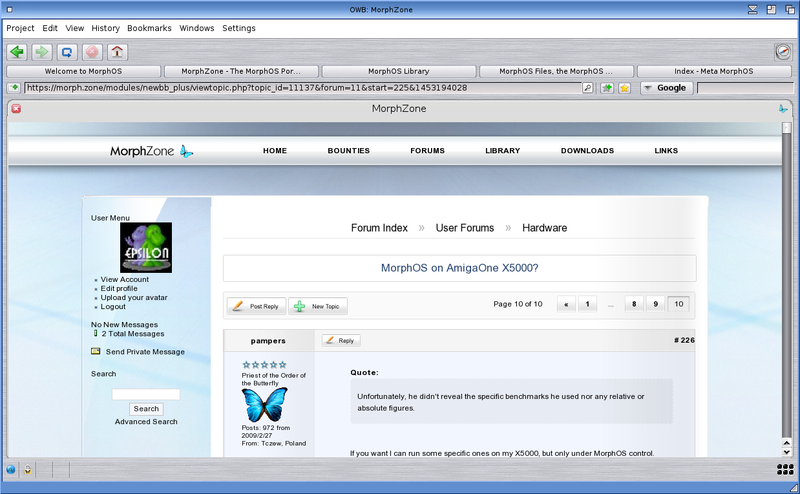 MUI for MorphOS is different to the MUI developed for AmigaOS4.1 and AmigaOS 3.1. That is a shame, as it no doubt creates little incompatibilities here and there. Unlike the AmigaOS4.1 and 3.1 versions, registration keyfile for MUI is not needed." It should be said really otherwise. 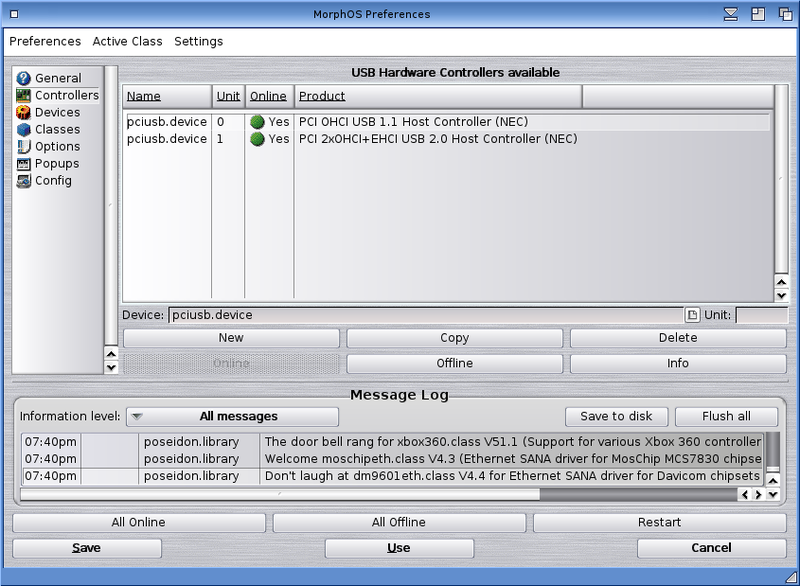 MorphOS MUI4 is original PPC branch and development and later OS 3.x and OS 4.x are UNCOMPATIBILE DERIVATIONS of IT! It doest need the key as it is integral part of OS (unlike with OS 3.x where it was CD add on). Porting MUI4 in parts from MOS has made some more newer apps avail on OS4.